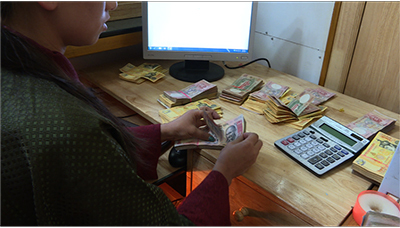 On average, around 300 people are seen daily at the office of the RMA exchanging Ngultrum for Rupees. The impact on the central bank’s rupee reserve has however, remained more or less the same. Officials from the central bank said, the RMA was substituting the facility, which is also provided by commercial banks. 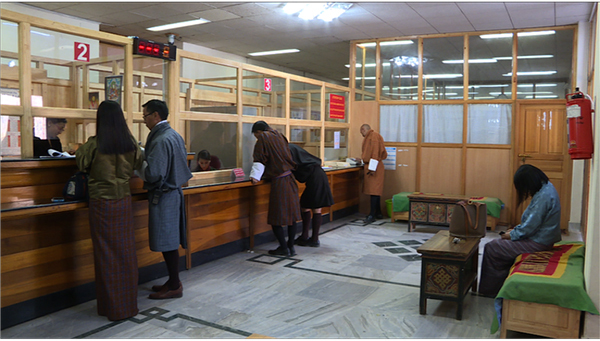 A total of Rs 258 M was issued from the new counters. Of the total, Rs 32 M was exchanged by retailers in Jaigaon, and the remaining by Bhutanese pilgrims. RMA officials said, by providing the facility to the Indian retailers, it has helped in maintaining parity between the Ngultrum and Rupee across the border. “One of the key findings is that the actual outflow remained more or less the same,” said RMA’s Financial Intelligence Unit Head, Tshering Dhendup. He said they were substituting the facility being provided by the banks by bringing in more efficiency. By doing so, he said the RMA has been able to restore confidence of the public in Bhutan’s currency. However, he said, the financial intelligence unit was closely monitoring the facility and those found misusing the facility would be in violation of the law. Governor of the central bank, Dasho Penjore said the facility was a temporary measure and that although reserves have improved today, outflow would continue to increase if there are no permanent solutions.